Hannah: I started by throwing tennis balls! One swift stare down the gauntlet and she unleashes the discus into the sky to much aplomb. 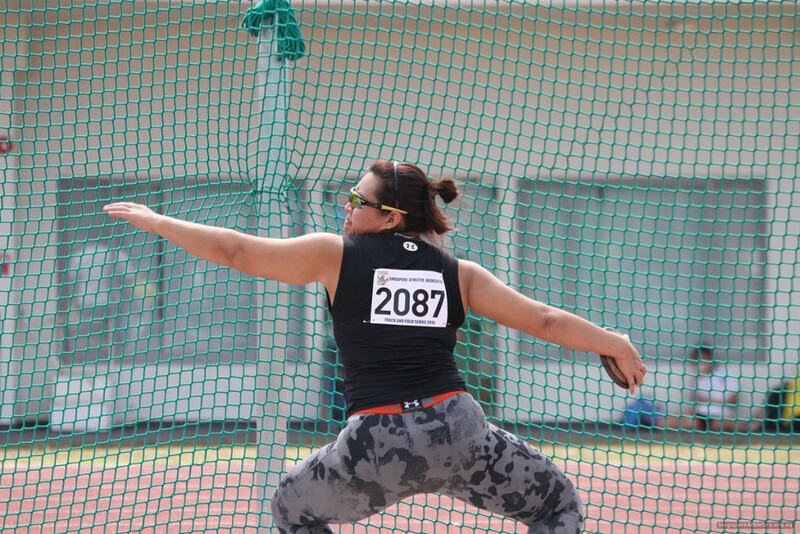 Having bagged numerous awards throughout her fledgling discus career, one would think that Singapore female discus thrower Hannah Lee knew of her talent from a young age. That theory went out of the window the moment we started the interview. She was quick to point out that like any other kid, she tried out a variety of CCAs like Girls’ Brigade, chess, choir and swimming but did not excel at any of them before a simple day in class changed her life completely. “The track & field teacher walked into my primary five class and asked everyone to stand up… she singled out a few of us and told us to go for the school team tryout. The first thought in my mind was what was she thinking! She thinks I can run?” chirped the spritely 23-year-old. Despite being grateful to her Christian faith for “god’s gift to be a sportswoman”, the hardworking thrower – who started out with shot putt before switching to discus – refused to rest on her laurels and increased her grueling regime over the past few months to ensure she is in optimum condition to do Singapore proud in what she terms as “the competition she has been training for all her life”. Having to juggle her school commitments – Hannah is taking a degree in physiotheraphy at the Singapore Institute of Technology – along with her bid for SEA Games glory, Hannah keeps her spirits up through a hidden talent of hers, singing. Being a thrower is my passion but so is singing! My fellow church mates and I lead the worship service as the main singers and it is through singing where I feel I get to express myself. Being able to sing and share the joy with my fellow churchgoers is something that I really enjoy. Modelling her athletics career after ex-thrower Wan Lay Chi, Hannah is confident that despite Thailand’s Subenrat Insaeng’s dominance as the region’s top athlete in the women’s discus event, she stands a chance for a medal position and is ready to lock horns with Malaysian counterpart Karen Yap who is another hot favourite to finish among the top three. Hannah Lee is ready to rumble and better her current personal best of 45.91m. The question is, are you ready to step into the cauldron come June and join her war cry?